18 Mar - Send off. 5 Feb - Selection trial results. 28 Jan - Selection trial. 4 Jan - Page created. To be posted after the competition. 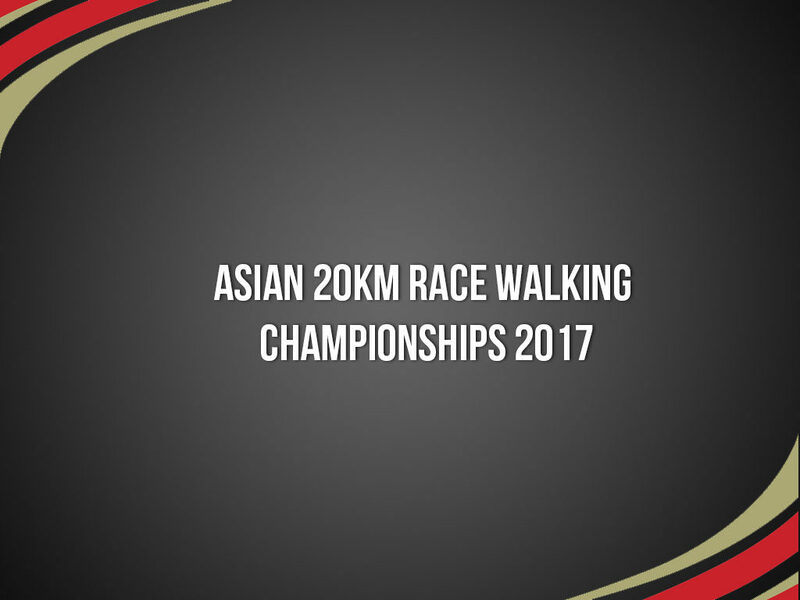 The 20km Race Walk Selection Trial for Asian Racewalking Championships (Nomi, Japan) is at this webpage. Each Member Federation (MF) can enter one (1) male and one (1) female athlete. MF is not allowed to enter 2 male or 2 female athletes. Additional athletes can take part as open participation, but all costs must be borne by each team. No entries will be accepted on Feb 7th 2017 or thereafter. Awards: Placing will be awarded to the first 3 positions of each race. and undergo doping control tests. comply with the latest IAAF Advertising Regulations.